Home » Our Doctors » Lauren Tedesco, O.D. Dr. Lauren Tedesco graduated from Indiana University School of Optometry where she received her Doctor of Optometry degree. As part of her training, she completed rotations at Truhlsen Eye Institute at the University of Nebraska Medical Center in Omaha, NE, Perry Point VA Hospital in MD, Eye Surgeons of Indiana in Indianapolis, IN, and Atwater Eyecare Clinic in Bloomington, IN. Through her clinical rotations, she became well-rounded in ocular disease, primary care, pediatrics, and contact lenses. 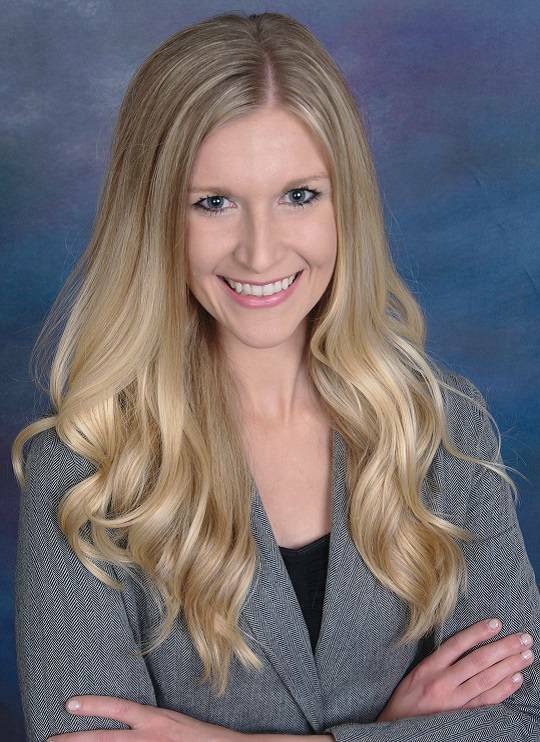 Although she enjoys all aspects of optometry, she has a strong personal interest in pediatrics and vision therapy. Dr. Tedesco enjoys doing Realeyes presentations at local elementary schools about eye safety and health, and presents to the Lake Erie College Physician Assistant students while they are completing their ophthalmology course work. Lauren was raised in Wellington, Ohio, and attended Lake Erie College following high school. In her free time, Lauren enjoys being a Cleveland sports fan, running, being outdoors, and spending time with her husband and daughter.